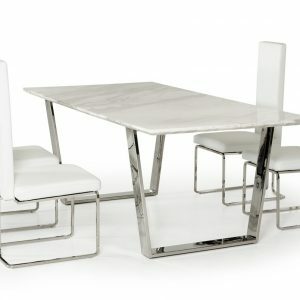 Stand out from the rest with this unique dining collection that showcases various glass inserts to pop against the dark gray finish and gray leatherette. 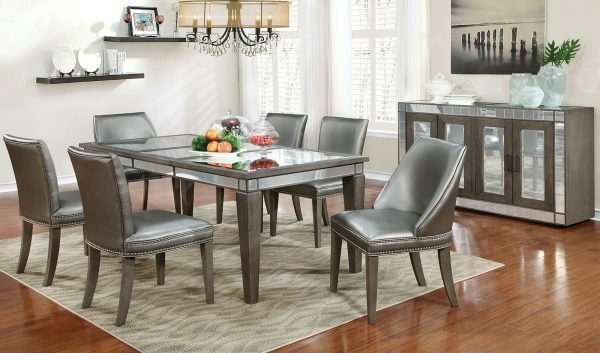 Thoughtfully accented with nail head trim, the contemporary inspired chairs showcase gorgeous leatherette upholstery to enhance the updated design. 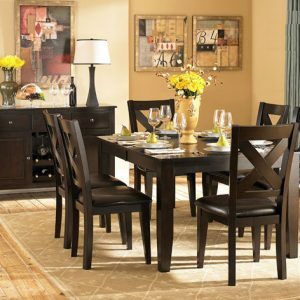 Chunky, tapering legs provide durable support for the 20” expandable leaf so hosting a room full of family and friends is no longer a daunting feat but something you actually look forward to!